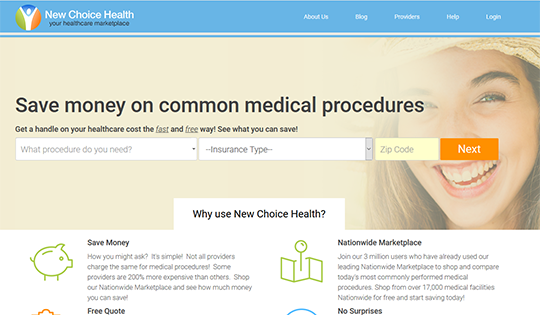 NewChoiceHealth.com is a free, consumer-focused healthcare marketplace where consumers can shop for common medical procedures. Users can obtain medical provider specific pricing, service, and quality data for common medical procedures. and compare medical procedure cost for hospitals and stand alone medical facilities in their community. Prices are available for over 12,000 facilities nationally.